Stash reHash on Sunday was yet another great success. From where I was standing in line, it appeared to be even busier than last time. I arrived bang on opening time at 11am, and waited in line for 40 mins before getting in – a sure sign of how popular this market is. Due to some bad planning, I wasn't able to stay long, it was literally a circuit round the room for me. 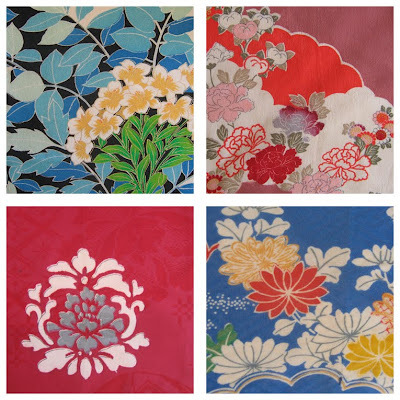 I bought some of these beautiful vintage kimono remnants from Cherry Blossom as my token purchase. I have some plans for them, which will be unveiled when I return to the Rolleston Community Market on Sunday. For those of you who can't make it out to the market, I will list them up on felt in the following days. Due to Sunday being Anzac day, the market will run from 1pm - 4pm instead of the usual time. 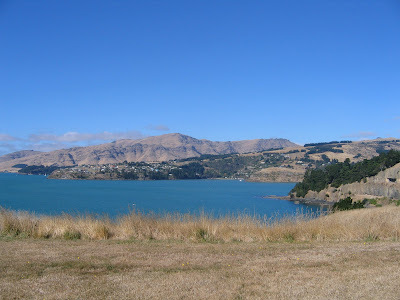 I had to rush off due to having a ferry to catch in Lyttelton out to Quail Island. We had planned to go the day before, but just missed it, so rebooked it for the next day. My husband had been wanting to go there for a while, as he remembered staying there on a school camp back in primary school. It was a lovely day for it. We walked all around the island, and I took a few photos. With the island being right in the middle of the harbour, the scenery lent itself to some panoramic shots, so I put these together using photoshop's photmerge tool. It is so much faster than doing it manually! The head of Lyttelton Harbour, with Governor's Bay somewhere in the middle. These shipwrecks are rather haunting. 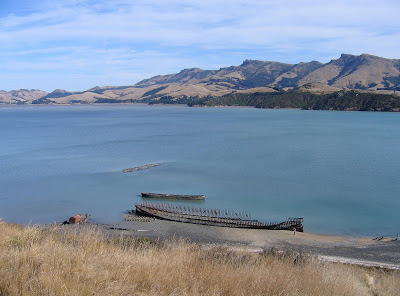 It is a ship's graveyard, old ones were brought here once they were no longer serviceable to decompose away. 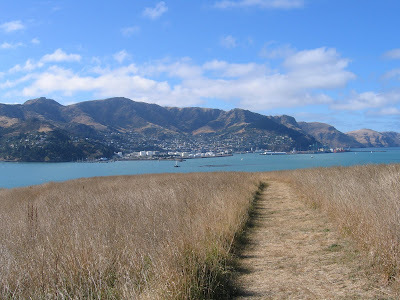 Another panorama with the mouth of the Harbour and Lyttelton.